The Band Meeting: Now Available! Scott Kisker and I have written a book, The Band Meeting: Rediscovering Relational Discipleship in Transformational Community. The purpose of the book is to help people start a unique kind of small group. The book provides a theological and historical introduction to band meetings and the crucial role they played in the vitality of early Methodism. 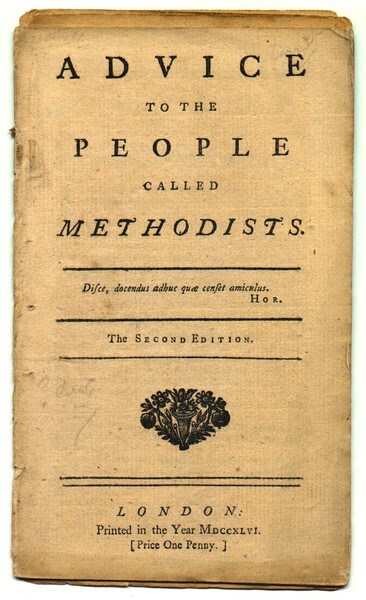 The band meeting was the key piece of the method of early Methodism where people pursued deep transformation in community by the grace of God. In The Band Meeting, Drs. Watson and Kisker have made accessible to a wide audience a path, discipline, and practice for any and all who “expect to be made perfect in love in this life.” Thoughtfully weaving church history, Wesleyan theology, and personal testimony, the authors invite us one and all to shed our masks and superficiality. They graciously invite us to be clothed in the garments of spiritual intimacy. I pray for the faith to say yes. The Band Meeting is a practical guide for authentic solidarity in Jesus. Biblically and theologically grounded, the text offers life-led examples and directions for intentional disciple living. For a true Wesleyan unity, built on Jesus-led community, this book is essential. The band meeting was the primary engine of the Early Methodist Revival for discipleship and spiritual formation. Along the way, the band meeting for deeper discipleship has been obscured and confused with the class meeting, which provided initial small group spiritual direction for seekers. In this volume, The Band Meeting: Rediscovering Relational Discipleship in Transformational Community, is new insight and power for making disciples of Jesus Christ who can make other disciples. This is a must-read for every pastor and small-group leader in the Wesleyan tradition. The Band Meeting: Rediscovering Relational Discipleship in Transformational Community is not for the faint-hearted! Indeed it is for those who desire to know more fully the freedom that comes from trusting God and a handful of other journeyers with the good, bad, and ugly of our deepest selves. After describing band meetings as the “engine of holiness” for early Methodism, authors Watson and Kisker make a compelling case for why participation in a band is an important tool of transformation for twenty-first-century Christ-followers. Many are trying to figure out how to reclaim the life-changing, world-altering secret of the Wesleyan movement. 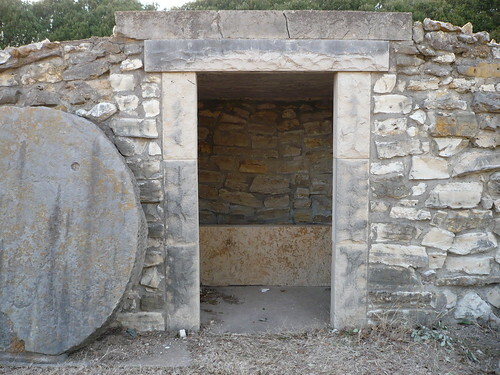 While it was and is ultimately a work of the Holy Spirit borne out in the lives of every day Jesus-followers, the band meeting taught and modeled by the early Methodists provided the strength and accountability that led to vibrant faith in action. Historians and theologians Kevin Watson and Scott Kisker can help us recapture the essence of what gave Methodism the depth and vibrancy that changed the world in the eighteenth century through The Band Meeting: Rediscovering Relational Discipleship in Transformational Community. I highly recommend it. The phrase in the first chapter “We are hardwired for connection” captured my imagination. I loved the journey through Scripture, history, theology, and experience on how to finally live out how God intended for humans to flourish. The Band Meeting does this along with very practical guides. I see this book as a catalyst for another great awakening across our globe. Throughout much of the Wesleyan world, we have lost a clear sense of what “social holiness” actually is and why it matters. In The Band Meeting, two of our best theological minds have collaborated to help us recover true social holiness through a practice often neglected today: the band meeting. I highly recommend this volume, which is clear and readable, historically informed, and theologically rich. In our age of digital disconnection, we need Christian practices of community more than ever. Watson and Kisker open up the practice of the band meeting in a way that will benefit the church as we seek to reconnect with each other and with God. I hope you will check out the book and spread the word! Since the 2015 Annual Conference season I have been wrestling with some basic questions: Should we take it for granted that the preservation of United Methodism is a foremost value? Is the Holy Spirit committed to preserving United Methodism under any circumstances? Should we be committed to defending the institution above all else? Is the division of United Methodism the greatest threat that United Methodists face? Actually, I’ve been chewing on these questions longer than that I suppose. My thinking was stimulated and challenged when I first came across Adam Hamilton’s Seeing Gray in a World of Black and White. I remembered reading Hamilton’s Confronting the Controversies when I was in my first year of full-time ministry and admiring the clear and careful stances he took on controversial issues. When Seeing Gray came out, I was a bit perplexed and intrigued by the fairly significant change the title suggested. As I read the new book, I was a bit jarred that the overall argument seemed to be that being in the middle of extremes is predictably virtuous. He started the book off by asking if Jerry Falwell and John Shelby Spong were our only options? I remember thinking, of course they aren’t! But what does that establish? As Hamilton applied the virtue of the gray to a variety of moral and ethical dilemmas, I felt increasingly troubled, particularly as I watched Hamilton’s writing influence the conversation in my own denomination (The United Methodist Church). Is the challenge The UMC faces really the need for more Christians in the middle? The impression I got from his comparison of Falwell and Spong was that Hamilton was suggesting our problem is we just don’t have enough reasonable and fair-minded people in the church. If I were to list the problems facing United Methodism, a lack of middle of the road consensus builders wouldn’t be anywhere near the top. In fact, I’m pretty sure I would argue that the opposite is a problem. We have too many people in key positions of leadership who are most concerned about being reasonable, not rocking the boat, and trying to hold a declining institution together. The deeper problem I have with Hamilton’s approach, which he seems to have doubled down on since the initial publication of this book, is that there are many ethical issues that logically cannot have a middle ground. (Bill Arnold has made this argument convincingly in his response to Hamilton, Seeing Black and White in a Gray World.) Trying to see gray may sometimes work at an abstract 50,000 foot level. But it does not work very well when you are talking to a human being created in the image of God who is trying to discern whether they can do something with God’s blessing. The reality is it is often, though not always, an either or. As time has gone by, I have come to increasingly see Hamilton’s work as a well-intentioned effort to save The United Methodist Church. He has been one of the most effective preachers, communicators, and leaders in recent American Methodist memory. I admire the time and energy Hamilton has poured into my church and the way he has taken stands based on his convictions, even if they led to uncharitable responses. I very much hope my engagement here does not fall into that category. I’ve wrestled with this for a long time, in many ways wanting to be convinced that he and those interested in centrism in the past few years are right. I have finally had to admit that I am not convinced. I believe that a commitment to centrism as a principle would ultimately reinforce many of our worst instincts and neuter any spiritual vigor and vitality we have remaining. Here I should say that I have no idea to what extent Hamilton desires to be seen as a leader of more recent movements like the United Methodist Centrist Movement out of West Ohio. My sense is that the interest in centrism as a new sort of caucus group has at least partially been inspired by Hamilton’s advocacy and leadership. Again, let me say that I am convinced that these people have good intentions. I believe that they truly love The United Methodist Church and want what is best for it. I struggle to understand their passion for being centrist. It does not strike me as sufficiently radical to be considered Wesleyan, or really in keeping with the deep witness of the history of Christianity. How many of the people who have been most influential in the history of Christianity would have been considered centrists in their lifetimes? For Christians, there is no inherent value in being centrist. In fact, centrism is by definition an unstable concept that is fundamentally bound to the prevailing winds of culture. To be in the center, or the middle of extremes, you first have to know what the extremes are. And they are constantly changing. And then you have to move your beliefs and values to the center. This means that one’s beliefs and values are not first informed by Scripture, or the deep riches of the Christian tradition, but by one’s cultural context, whether it is accountable to the gospel or not. I know I fail to live up to my own ideals. I am still pursuing growth in holiness. But I am convinced that faithfulness should trump centrism every time they come into conflict. There is simply no way of knowing ahead of time that following Jesus will lead you between two extremes. And Christians should be committed to following Jesus, whether doing so means we receive the respect of the broader culture that comes from being a centrist, or whether we are despised by the culture we live within as radical extremists. Put differently, I cannot imagine a reading of the Gospels that could convincingly argue that Jesus was a centrist. Centrists, after all, are rarely crucified.